This week we achieved the Holy Grail of the summer holidays. We found an activity that the whole family thoroughly enjoyed and despite the rain, couldn't get enough of and all want to go back ASAP. 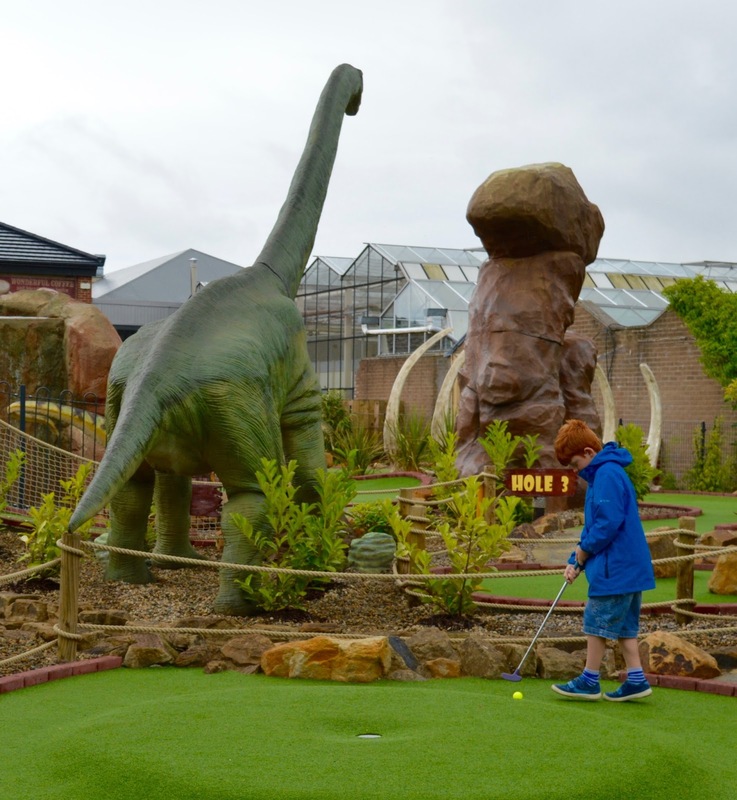 Introducing Dinosaur Golf at Heighley Gate Garden Centre near Morpeth. We booked a deal via Groupon (you can find the same deal here) - a weekday round of golf for 2 adults and up to 3 children for only £9. This works out at only £1.80 per person which I think is a very good deal. Groupon is nice and easy to use - you buy your deal and then book using the link supplied. At the actual golf, the attendant just scans the QR code on your booking email and hands you your balls, clubs and score card. Easy peasy! Back to the Jurassic golf. 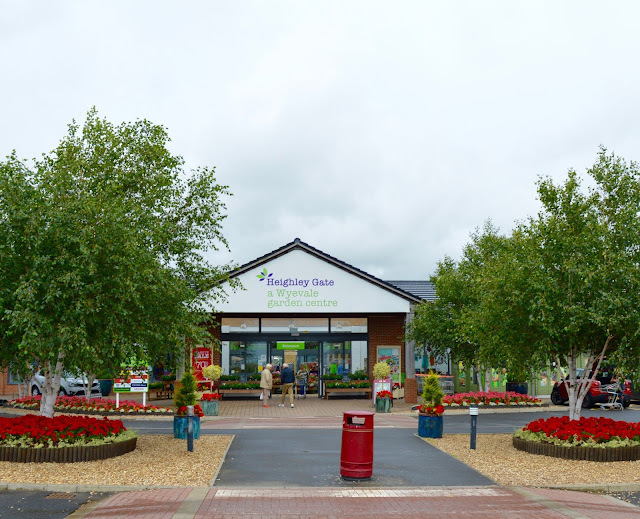 If you follow the signs throughout the garden centre you'll find the golf towards the back of the centre. You can book in advance as we did or simply turn up. The staff are a real credit to the centre - the attendant was just a young lad but ever so friendly, chatting to us, finding the right sized club for the kids and helping us to choose different coloured balls. Sometimes when you book a groupon deal you receive a sub-standard service but that definitely wasn't the case here. 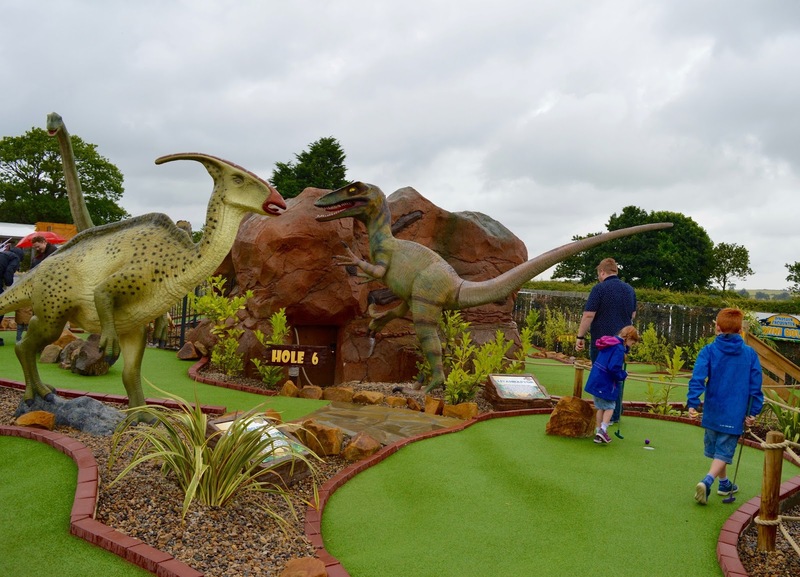 It was pouring with rain but we didn't let that put us off and we made our way between the dinosaurs and competed against each other during the course's 12 holes. Some of the dinosaurs move and others make noise. All of them have little signs next to them telling you a little bit about said dinosaur. Not that we needed them with Jack with us mind, he filled us all in with his never-ending dinosaur knowledge as we waled around. Harry took 24 shots on the first hole before he managed to hit pot luck but by the end he was beating me and managing to pot his ball in 3-4 shots. He was proud of his improvement and kept trying to give me pointers! We all improved though, even in 12 short holes which was a nice feeling (and I think great for the kids self-esteem). Steve even managed a hole in one on the last hole! Well done. We spent a couple of hours at Heighley Gate Garden Centre but probably could have stretched to a half day if we'd have included lunch and soft play. 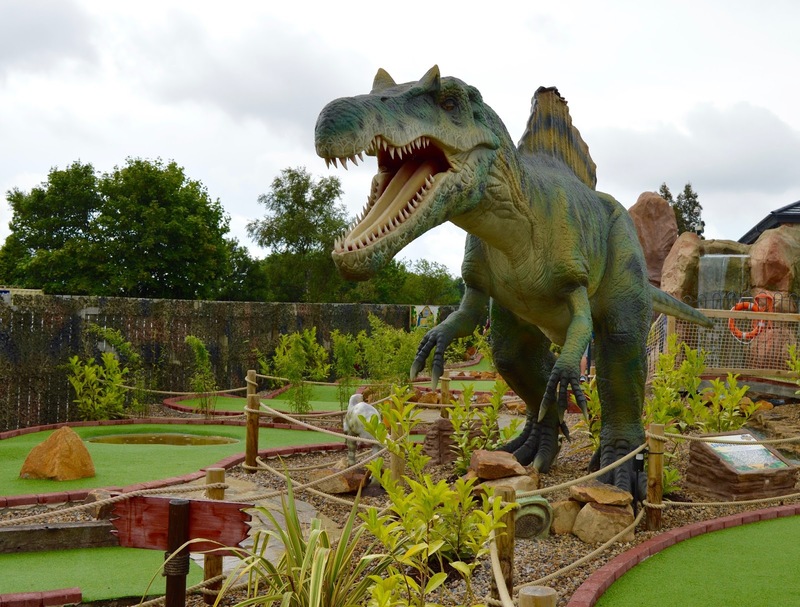 Jurassic Golf is definitely worth a visit, especially if you grab the Groupon deal. It's fab for all ages too - when we visited a toddler was enjoying a game with his grandparents. Just make sure your ball doesn't fall in the waterfall! Disclosure: We paid for our own activity. 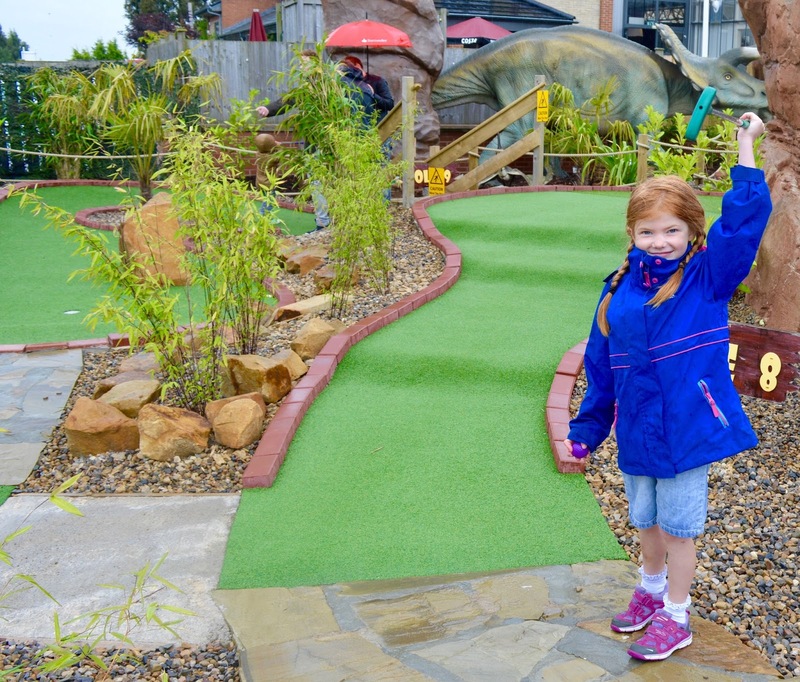 I have never seen a mini golf course at a garden centre before - brilliant! As soon as Simon sees this he's going to want a go, he's obsessed with mini golf! I do have an important question though! What's the cake like? Oh my gosh this looks like loads of fun! Our local village gardens obtained a huge grant recently and they bought some giant dinosaur models like these ones. You've reminded me that I've been meaning to take the kids there! My nephews would love this place! I am also partial to the odd game of crazy golf too! What a great idea! 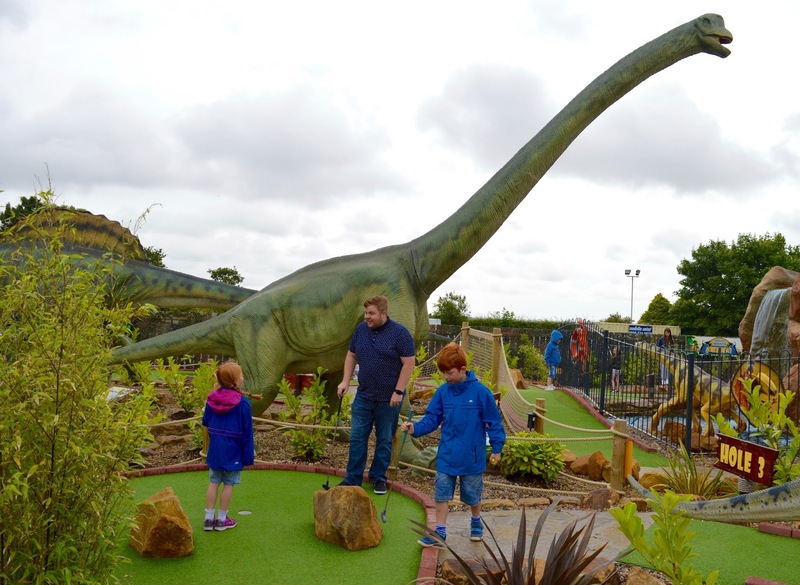 I love a good garden centre for a wander but crazy golf and dinosaurs!? Love it. It was so much fun - even in the rain! Wow this looks like quite the mini golf course! My kids would love it! I love Groupon for little gems like this! I love mini golf & I love dinosaur parks! I'm sure it was so much fun for your children, how cool is it that it's just at a garden centre! Looks loads of fun! You took some ace pictures! What a fun day out! They really do have an awesome setup and it's nice that the staff was friendly. I love Groupon for finding deals; only today I bought a voucher for a cut and colour at a local salon :) the dinosaur golf looks so fun too! I love mini golf, as its the one activity we can all do together, although I always seem to come last! Looks like you had a great time, and lovely to see that rain didn't stop play! 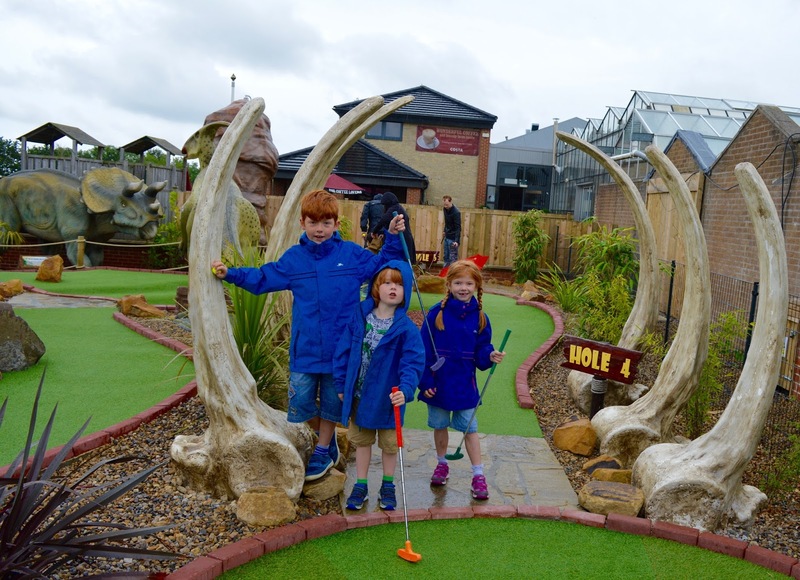 It looks like so much fun there I must take my little ones to try crazy golf.